By now we're all familiar with the benefits of caloric restriction. However, most of us don't want to live a life deprived of one of its greatest pleasures: food. Luckily, there’s an age-old shortcut—fasting. When most people hear the term fasting, they think about going days without any sustenance. Forget that. Because when you add the word intermittent, everything changes. "Intermittent fasting is a different schedule of eating where you're giving yourself long periods of time between consuming food," explains Meryl Pritchard, nutritionist and founder of organic meal-delivery service Kore Kitchen. Basically, the idea is that by giving your body a break from eating and digesting, you're thus giving it more bandwidth to detox, burn fat, and rev up your metabolism. But does it actually work? (And is it safe?) Scroll through for more details. Intermittent fasting is not a diet—we repeat, not a diet. Rather, it's an eating pattern; you incorporate regular periods of fasting into your meal schedule. "When you fast, you're abstaining from food and the digestive process which allows your body the ability to detox—this is something that occurs naturally while we sleep," explains Pritchard. "When your body is not in a digestive state, it has the ability burn fat that has been stored—we store fat as a protective mechanism for many reasons. When we're eating, digesting, and absorbing, our insulin levels are too high to lose any weight. However, you don't enter this fasting state until about 12 hours after consuming your last meal." Unlike most diets, this practice doesn't say anything about what you eat (though we all know certain foods are better for us than others, right? )—it's all about timing instead. It's also not a form of extreme caloric restriction. "It doesn't necessarily mean you have to change what you eat, as much as it has to do with when you eat," says Pritchard. 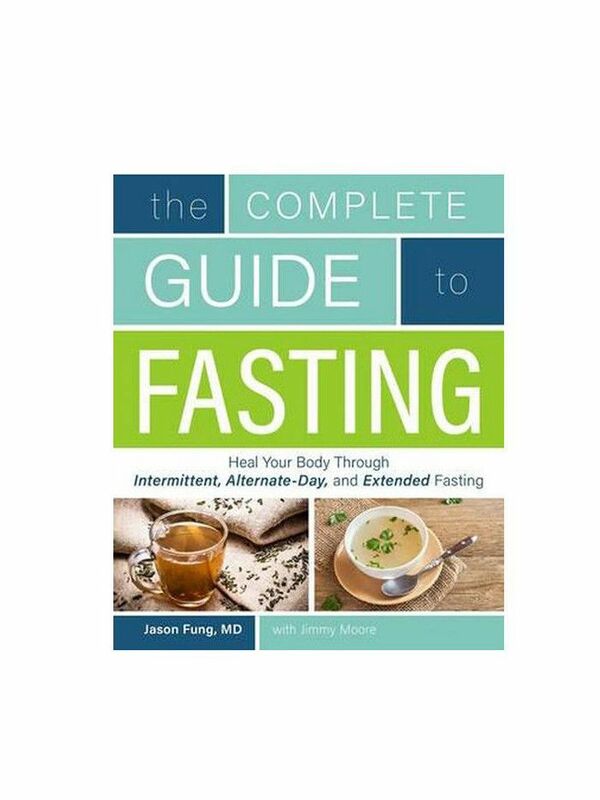 "Benefits of fasting can include weight loss, reduced stress, cellular repair and regeneration, clear skin, increased energy and immunity, plus you save a lot of time from having to cook or source meals," says Pritchard. There's research to back all that up too: Studies have investigated fasting for decades, and a number of them suggest that people who fast have better memories, improved cognition, and more energy. Other studies show that fasting has heart-health benefits, reduces the risk of disease, and extends life span. One of the biggest research-backed benefits is weight loss. A recent study showed weight loss of 3% to 8% over three to 24 weeks, which is a large figure compared to most weight-loss research. This same study also found that participants lost an impressive 4% to 7% of their waist circumference. Additional findings concluded that intermittent fasting causes less muscle loss than standard forms of continuous caloric restriction. The obvious answer is when you're fasting, you're eating fewer calories, but there's more to it than that. Intermittent fasting actually changes both sides of the weight-loss equation—fewer calories in and more calories out. The eating pattern changes your hormone levels, increasing the release of the fat-burning hormone norepinephrine and normalizing levels of ghrelin (the hunger hormone). It also decreases insulin levels and increases human growth hormone. All of that together leads to a 3.6% to 14% increase in your metabolic rate, studies show. Essentially, intermittent fasting makes your body work more efficiently. The hormone changes make stored body fat more accessible, and the decrease in insulin levels increases insulin sensitivity. Without going into a full-blown science lesson, we can tell you the more sensitive your body is to insulin, the more likely it is to efficiently use the food you consume. "We use so much of our energy just to digest and process our food," says Pritchard. "We do this three to five times a day. The body is one of the most perfect-working machines in nature when given half a chance. When you give your body that period of time, it conserves the energy and can focus it elsewhere." Basically, your body has two states: the fed state and the fasted state. Your body is in the fed state when it's digesting and absorbing food. This starts as soon as you begin eating and lasts for three to five hours. In this state, it's difficult for your body to burn fat because insulin levels are high, says Pritchard. After that, there's a period of eight to 12 hours when your body isn't processing any food. Around that 12-hour mark, you enter the fasted state, where your insulin levels are low and make it easier for your body to burn fat. At this point, you're burning fat that wasn't accessible during the fed state. Because we don't enter the fasted state until about 12 hours after eating, our bodies rarely reach it. With intermittent fasting, you do. The most popular method is the 16/8 method, or the Leangains Guide. With this method, you fast for 14 to 16 hours per day (14 to 15 hours is recommended for women) and eat regularly (i.e. sensibly—fasting is not a free pass to go nuts on fried food) during the remaining eight to 10 hours. Most people find this method easy to pick up because you already do it every night when you sleep—just for a shorter period of time. To accommodate the 16/8 method, you simply stop eating after dinner and eat a later breakfast in the morning. So if you finish dinner at 7 p.m., eat breakfast at 9 a.m.
We know what you're thinking: Not eat a meal first thing in the morning? That flies in the face everything we've been told. The eating-breakfast-first-thing argument is based on the notion that insulin sensitivity is higher in the morning; in other words, the calories you consume are used more efficiently. However, it's not really higher "in the morning"—it's higher after the eight to 10 hours of fasting you did while sleeping. Intermittent fasting takes that a step further. Extending that fasting period to 14 or 15 hours increases insulin sensitivity even more. Now, there's no rule that says you have to fast from after dinner to before breakfast. You can fast whenever. If you really love breakfast and want that meal to fall into your eating period, go ahead and do what works for you. The only key thing to keep in mind is consistency. "Most people do regular, intermittent fasting on a daily basis or every other day in order to experience the best results," says Pritchard. "Doing it more infrequently or for longer periods of time can create an imbalance in the body. Our bodies and minds like consistency, and small, regular changes over time tend to make the biggest impact." Other methods include the Eat Stop Eat method and the 5:2 diet. Eat Stop Eat involves fasting for 24 hours twice a week (beginners can start with one day a week). For example, when you finish dinner on Tuesday, you won't eat again until dinnertime Wednesday. A common issue here is many people find it difficult to fast for a full 24 hours. "A lot of people think the key to losing weight is just not eating for a long period of time," says Pritchard. "The problem with that, as many of us have probably discovered, is that it's not a sustainable solution to long-term weight loss." While it is a popular method, the 5:2 diet hasn't been studied on its own. Its proponents point to general research surrounding intermittent fasting. The method involves eating normally five days a week and on the other two days, restricting the number of calories you consume (during that eight- to 10-hour window) to 500 to 600. There are other more extreme and complicated ways to try intermittent fasting, but 16/8, Eat Stop Eat, and 5:2 are the most common. With all of these tactics, water, tea, and coffee are allowed, just no caloric beverages or solid foods. The one main rule that applies to all variations of intermittent fasting is that you have to eat well during the eating window. Think healthy versions of your favorite recipes like quinoa mac 'n' cheese, cauliflower mashed potatoes, and spaghetti squash marinara. It doesn't mean sweets are off-limits; just choose wisely. We love this chia seed pudding recipe and this guilt-free pancake recipe. Research shows intermittent fasting is safe (and effective). More than that, many experts say it's actually what our bodies are designed for. Our hunter-gatherer ancestors didn't have the steady access to food that we have now, and at some point, our bodies evolved to be able to function without food for extended periods of time. Some may argue that intermittent fasting is perhaps more "natural" than eating three (or more) small meals a day. That being said, if you're interested in giving it a try, ease yourself into it, advises Pritchard. "If you've never done it before, I'd recommend trying it out one day a week or one day per month," says Pritchard. "It may sound intimidating, but it's actually quite easy once you implement it and is more of a mental hump to get over than anything." She also adds that it's wise not to rely on fasting as a quick weight-loss method. 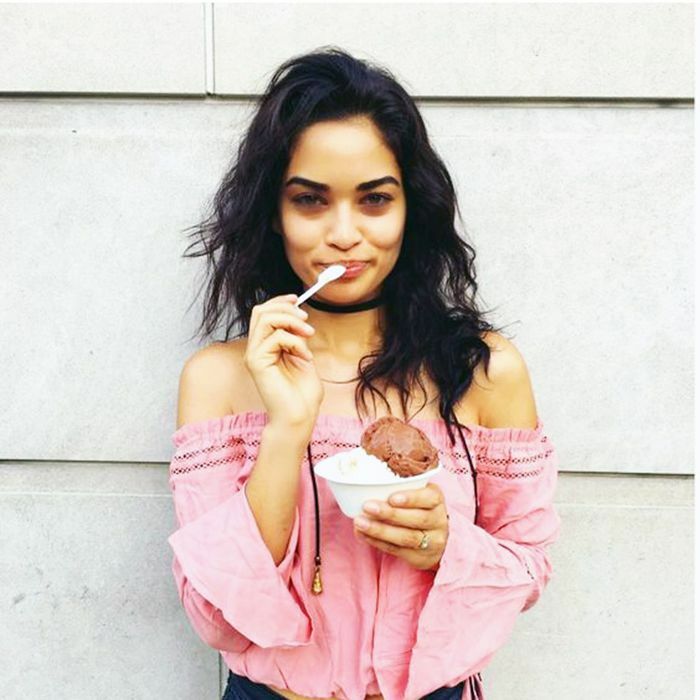 "Food is fuel, and we do need it to function," she says. "Fasting is not going to give you instant results and be a turnkey weight-loss solution." And as with any diet or eating change, do your research or check with your doctor to ensure that intermittent fasting really does work with your body and lifestyle. Real Talk: Are Detox Diets Ever a Good Idea?